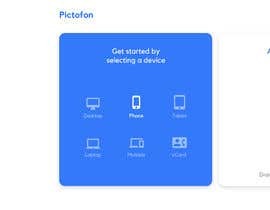 This is the website: https://pictofon.com. 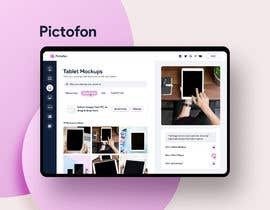 It's an online mockup generator where users can see their design wrapped in a mockup of a phone/tablet/laptop/business card/wall frame, etc. I want to see if there is a better, easier way for users to interact with the service. I need UI ideas only, this is not a coding contest. I need 2 versions of UI: desktop (full-size, for use on laptops and desktops) and mobile size (for use on phones and tablets). Full-size may be more functional than mobile. 1. Pick a mockups from the list. 3. Upload an image to be wrapped with a mockup. 4. 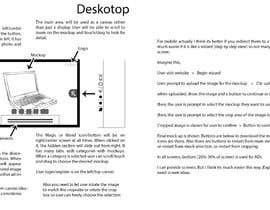 Set (crop) an area of uploaded image if they don't want to wrap entire image. 5. 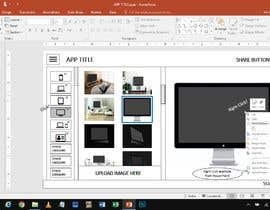 Support multi-frame mockups (see [login to view URL]) where they can wrap several images at the same time, hence uploading and editing of multiple images should be possible. 6. Apply effects to resulting image. 7. Download resulting image in multiple sizes. 8. Service supports animated user images, so when user uploads a GIF, service should let user download resulting image in multiple formats (it currently supports aPNG, GIF and Video). 9. Instead of uploading image users should be able to take screenshot of another website (see Webpage button). Users can do most of these now, please refer to website for an example of how it currently works. Mobile-size version currently is unusable, and I want to fix it with new UI. I understand there is not enough space on a mobile device screen for same functionality, so some simplification is possible.